Individual Fundraising: How You Can Raise Money to Support ADAA's Mission - and Have Fun! Every donor is special. Every reason someone donates to ADAA is unique. We are very grateful for the many ways that donors choose to support us. Why do you give? What inspires you to make a difference? To contribute, start a fundraising campaign, create a product to benefit ADAA? How can you join us in our critical work to provide free resources and support to the the millions who turn to us for help? In addition to individual gifts, many ADAA supporters create their own fundraising campaigns centered around an event, the sales of a product, or the creation of a video, song, and more. Many of our donors turn to crowdfunding to support their campaigns. Crowdfunding is the practice of funding a project or cause by raising money from a large number of people, typically through the Internet. It is a form of peer-to-peer fundraising that harnesses the power of social networks to raise awareness and draw donations from around the world for online campaigns. Below are some of the more popular online fundraising platforms. Create your own fundraising campaign on Crowdrise. If you designate ADAA as one of your beneficiary organizations, any funds that are raised will go toward our continuing efforts to help people have better lives by connecting them to treatments that will eventually prevent and cure anxiety, depressive, obsessive-compulsive, and trauma-related disorders. Learn more here. Sign up for free. 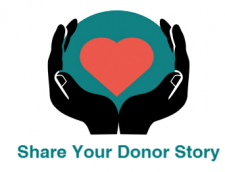 You can select ADAA as one of your fundraising beneficiaries and share your campaign with friends: The built-in charity fundraising tools make sharing with others easy. All donations will be sent directly to ADAA. You can also keep track of your donation results. Learn more here. Sign up for free. YouCaring pioneered Compassionate Crowdfunding™—empowering people worldwide to rally support for personal and charitable causes without the fundraising fees associated with other sites. To date, the YouCaring community is 5.5 million strong and has raised more than $500 million for humanitarian causes. Learn more here. Read about the many innovative fundraising and awareness building campaigns launched by the ADAA community. On behalf of all those we support through our free educational resources and information, we thank you for choosing ADAA as part of your fundraising campaigns. Together we are changing lives! Have you already created a fundraising campaign for ADAA? Thank you! Please let us know and we can share your story on our website and through our social media platforms! Have a question about launching a campaign? We're here to help!